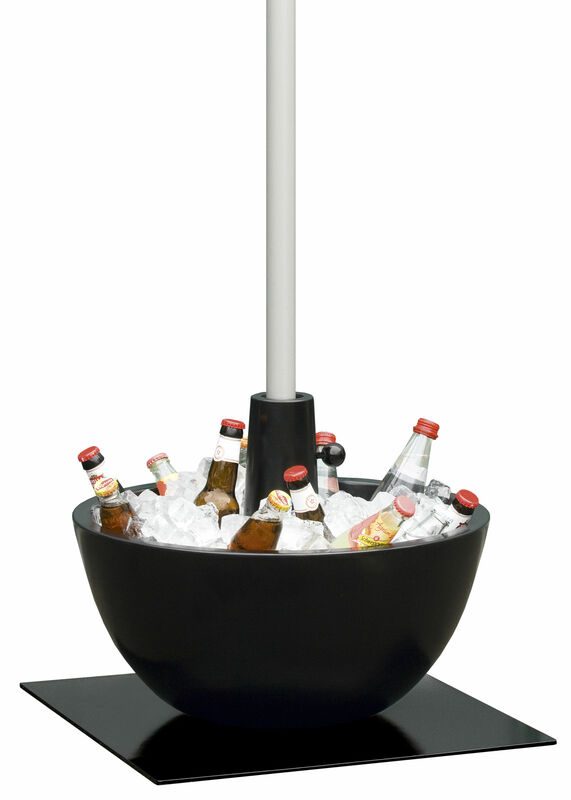 Coupe... a creative multifunctional parasol base... 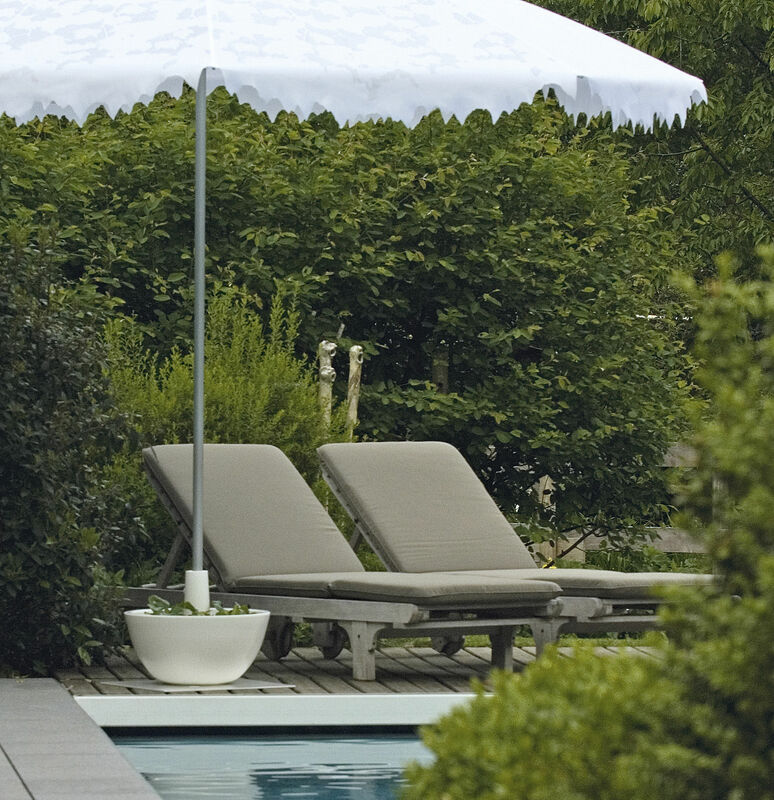 When we buy a beautiful parasol, we have to buy a base but they are usually ugly, cumbersome and difficult to move. 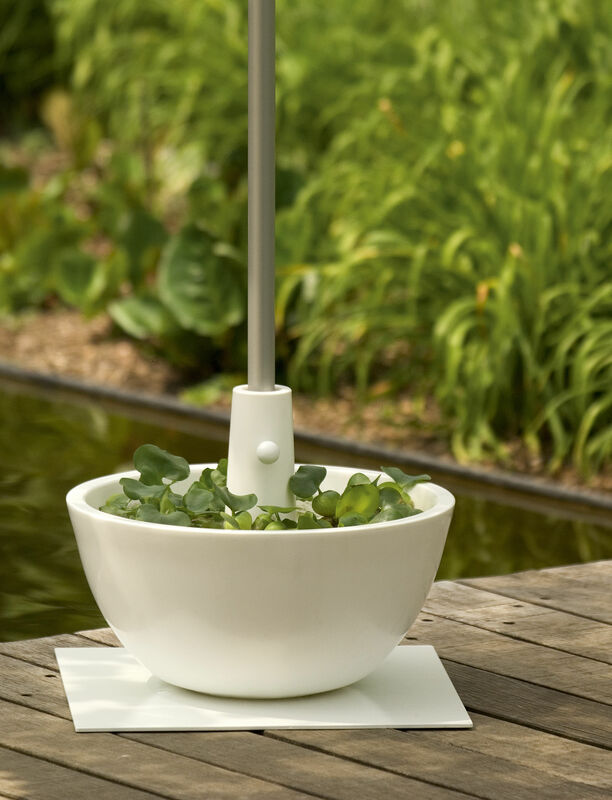 That is why the Dutch designer Jan Melis took up the challenge to invent one which is graceful, light and most of all functional! 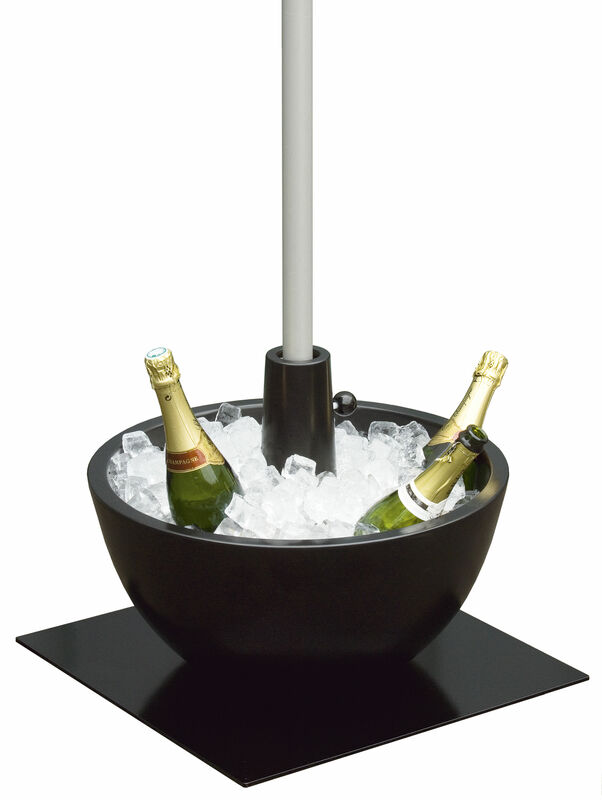 You can keep your champagne on ice with this big pot: ideal to animate your garden-parties! 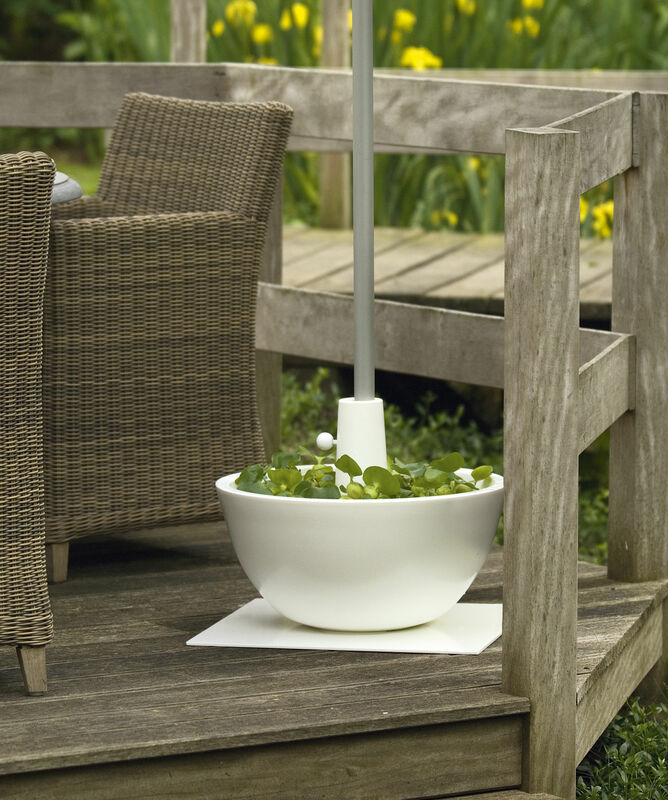 You can plant flowers or even fill it up with water and put floating candles or have floating water lilies! 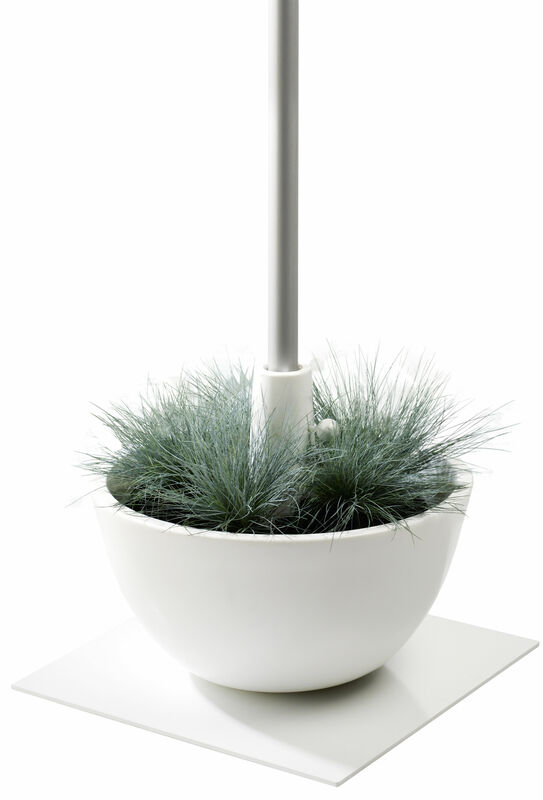 This amazing parasol base won the 'Prix du public 2008' at the 100% Design show in Rotterdam. 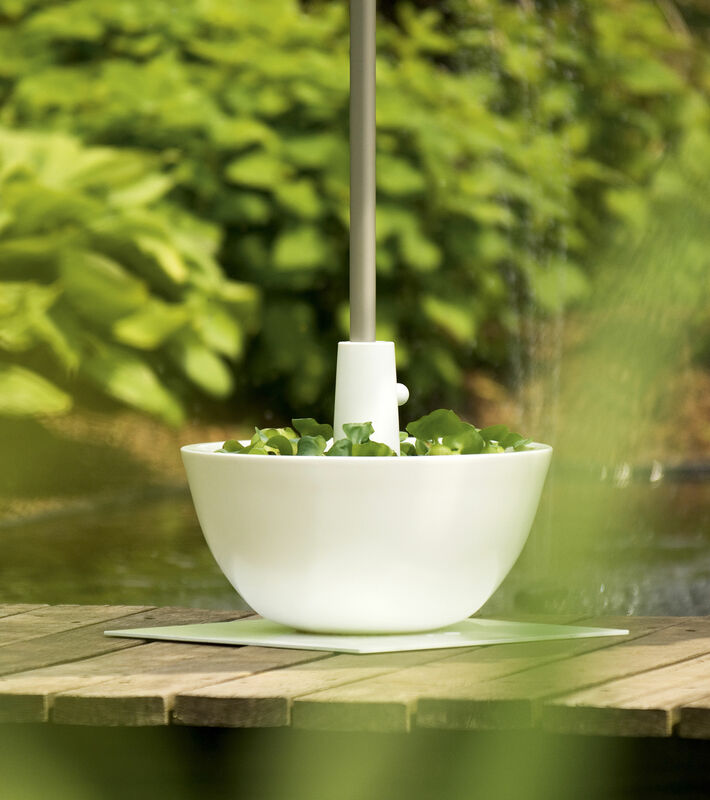 Coupe adapts itself to most standard parasols with a mast between 30mm and 40mm in diameter. Available in white and black.